PC modding community and gamers who have adopted the latest video game consoles are zealously waiting for next-gen port of Rockstar’s rich and famous open-world action-adventure video game called GTA V. Breaking several records and making a name for it on the last-gen consoles, GTA V is now headed straight for PC, and the latest PlayStation 4 and Xbox One consoles. The game is expected to launch sometime during the third or fourth quarter of the ongoing year, but reports claim that Rockstar might wait until 2015 before rolling out its highly anticipated video game. Taking the covers off the next-gen GTA V port at Sony’s E3 2014 press conference, Rockstar announced that its record-breaking and one of the most praised games in the modern video game industry will be landing on PC, PlayStation 4 and Xbox One during this year’s third or fourth quarter with completely redone environments and rich graphical textures. The developer didn’t reveal any specific release date for the game and unless it does, there is a possibility that the game might be delayed until next year. Talking about the timeline of the GTA V’s last year launch on the PlayStation 3 and Xbox One consoles, Jarvis said: “If we take a look at the dates when we went to see the game before it was released, the first clue was on Jan. 31, 2013, a full eight months before the game came out.” Rockstar launched GTA V for last-gen consoles last year on September 17, and CVG went to see a preview of the game in May, 2013, that is four months before the launch. Taking this month out of the list, there are only four months left before we leave another spectacular year of games behind us. Jarvis is quite right, if you want to release a highly anticipated game, you must increase the hunger of your audience by releasing more content and details about the game. For example, Ubisoft started releasing in-game content years before the release of Watch Dogs. 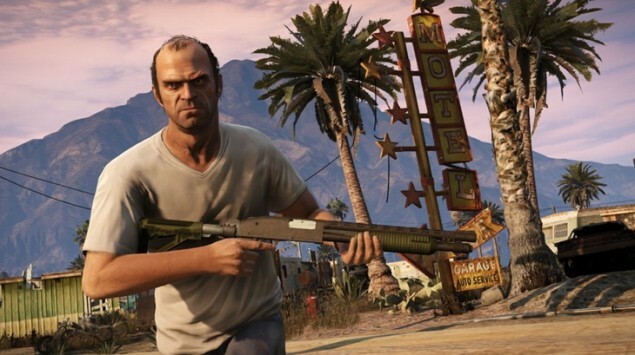 Now Rockstar should better confirm something soon, or it could be that GTA V is pushed back to 2015.